Sheriff’s deputies are investigating a crash that seriously injured a person who may have been purposely lying on a street in front of a vehicle in Santee. 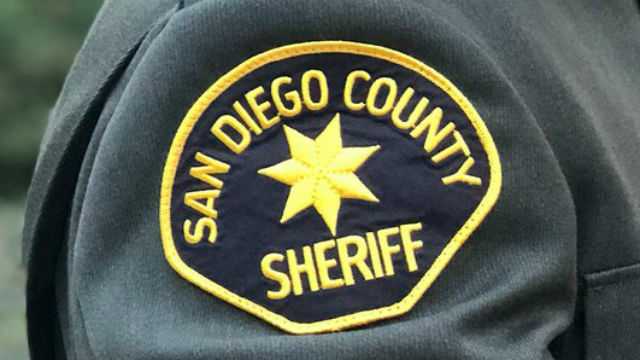 The accident happened a few minutes before 11 p.m. Monday on Carlton Oaks Drive near Darcy Court, just a few blocks southeast of the Santee Lakes, San Diego County Sheriff‘s Sgt. James Golembiewski said. “Based on the preliminary investigation, it appears the pedestrian may have been deliberately lying on the roadway before being struck by a vehicle traveling eastbound on Carlton Oaks Drive,” the sergeant said. The victim — whose name, age and gender were not immediately available — was taken to an undisclosed hospital for treatment of serious injuries, Golembiewski said. The driver of the vehicle involved in the crash stayed at the scene and was cooperative with the investigation, the sergeant said. The crash remained under investigation Tuesday, and anyone with information about the incident was asked to call the sheriff’s communication center at (858) 565-5200.